Home » Does your Diamond Cut it Naples Residents? Does your Diamond Cut it Naples Residents? What your Diamond engagement ring says about you. Victoria Beckham has a marquise cut, extravagant diamond, Kim Kardashian has a cushion cut, romantic engagement ring and Kate Middleton has an oval-shaped, classic ring. If you are a resident of Naples, Florida, you may wonder whether or not your own diamond cuts it. Whether or not Naples brides-to-be realize it, engagement rings happen to be a personal choice. As a matter of fact, depending on how your diamond engagement ring is cut, the ring on your finger tells a lot about your personality. Here is what your diamond engagement ring says about you. This diamond cut features both a marquise and an oval, and looks like a tear drop. Especially flattering to smaller hands, this diamond features an unmatched fire and brilliance in its unique shape. As unique as the person wearing it, this type of diamond engagement ring is for those who go against the flow, women who don’t necessarily follow tradition and yet have top notch style. For a woman that has shorter fingers or small hands, the oval cut diamond engagement ring has an elongated shape that gives a beautiful illusion of length. Similar to a round cut diamond, this has a design that is perfectly symmetrical. Ultimately, the heart is a symbol of sentiment and romance particularly when it is given as an engagement ring to someone. An engagement ring with a heart cut diamond is for a thoughtful, emotional bride. Not unlike the cushion cut’s personality, this ring has a delicate shape that is obviously a symbol of true love. Over a hundred years ago, the cushion cut diamond engagement ring brings you back to the era of elegance and romance. Also known as the pillow cut, the cushion cut used to be the most popular diamond cut in its time. It looks like a square that has round corners and increased brilliance due to its large facets. For a real wow factor, go for a cushion cut that has three diamonds. If you love the thought of being swept off your feet by a dashing knight, cry at soppy films and love men who wear breeches, the cushion cut is the engagement ring for you. The Asscher cut is a must for the vintage bride. Almost identical to emerald cuts, this square shape evokes a 1920s dramatic feel for the art deco styles. If you love estate sales and vintage shops, as well as a closet full of great vintage shoes, this engagement ring cut is for you. Worn by stars including Grace Kelly and Elizabeth Taylor, rings that have an emerald cut diamond reflect the glamour of screen goddesses from Hollywood. You are a woman who effortlessly manages to become the center of attention and one who has charm and class. Princess cut diamond rings were created in the swingin’ 60s and were the trendy ring back in those days. In recent years, this shape has experienced a grand revival and is perfect for brides that are always wearing the latest fashions and are utterly stylish. Stand out from the crowd with the marquise cut diamond engagement ring. This ring has a unique cut that looks like a brilliant stone cut in the shape of a boat. Basically, you are a woman who loves being the center of attention. You are the kind of woman that men want to introduce to their parents. You are the sort of woman that like timeless, classic things and does not really dress to catch attention. You always look classy, chic and smart without spending hour after hour primping in the mirror. The fact is that with a once in a lifetime purchase as important as an engagement ring, finding an accredited jewelry like Gray and Sons is the top priority. Not only will you have the finest selections to choose from, you will know that the diamonds you purchase at Gray and Sons will last forever. While in Naples, find the best selections of both new and vintage engagement rings in Gray and Sons. You will find new rings as well as those that come from estate sales. Purchase the perfect ring that suits your own unique personality from a company that has been around for years, for good reason. When you are buying something as important as a ring to symbolize your love, find jewelry like Gray and Sons that more and more people trust. A city in Florida’s Collier Country, Naples has the 2nd highest millionaire proportion per capita in the United States. With some of the most expensive real estate in the country, you will love seeing attractions such as Freedom Park, The Naples Preserve, Naples Depot, Naples Botanical Garden and Keewaydin Club. While in the area of Naples, you might want to find the perfect ring to express your love. With the options you have to select from, this can be a confusing endeavor. This is where Gray and Sons come in. Having been in business for more than three decades, this company knows exactly what it is doing. As a matter of fact, why risk purchasing such an important symbol of love from any other source? 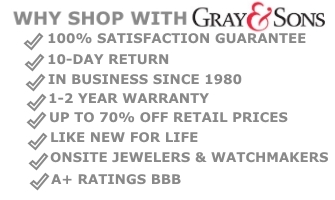 With Gray and Sons, you won’t be disappointed. 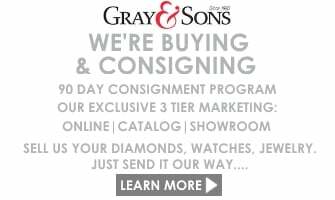 Whether you chose to visit their store or their website www.grayandsons.com, Gray and Sons will make the purchasing process stress free. The engagement rings you select in Naples will look stunning on your fingers if you match your ring to your personality. Finding a company that can help you do this is of paramount importance. As a matter of fact, with a once in a lifetime purchase such as this one, Gray and Sons will help you get the job done sooner rather than later. Whether you are planning to buy or sell a diamond engagement ring in the area of Naples, you will be able to get great value at Gray and Sons. Gray and Sons even offers this service via their website www.grayandsons.com. Not only is there a qualified staff that gives you the perfect appraisal for your pieces, you will also be able to find the perfect engagement ring shape for your personality.